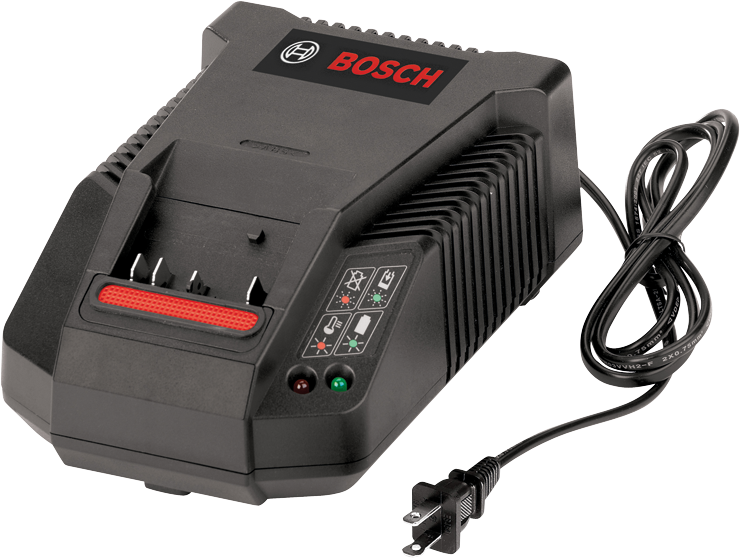 The Bosch BC630 18 V Lithium-Ion fast charger is compatible with all Bosch 18 V Lithium-Ion batteries. It's quick charging capability chargers the Bosch batteries 80% in 15 - 20 minutes (1.5 Ah to 2.0 Ah). So, users are ready to get back to work as fast as possible. Easy-to-see indicator lights communicate to users when the battery is charging, finished charging or pending charging due to high temperatures.